What industries are dust collector and baghouse filter bags used in? 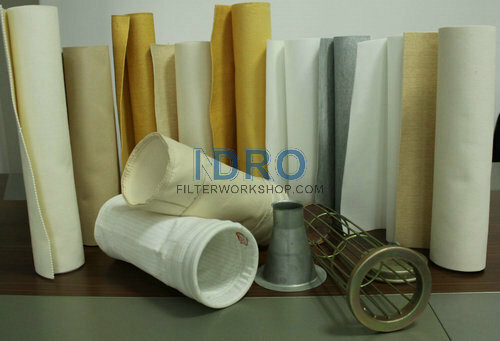 Different dust collector and baghouse filter bags are used in different industries, as one filter bag manufacturer, INDRO filtration introduces you as followings. 1- Polypropylene dust collector filter bags are used in dust removal of food, flour, sugar, fertilizer, electroplating, pesticide and other industries. 2- Acrylic dust collector filter bags are used in dust collector baghouse in industries of detergent, waste combustion, asphalt, spray dryer, coal mill and power plant (desulphurization). 3- Polyester baghouse filter bags are used in dust collector of mining, lime, cement, iron and steel industry, alumina production, electrolytic aluminum, non-ferrous metal production, wood processing, food processing and pharmaceutical industry. 4- PPS baghouse filter bags are used in dust collector of gas-fired coal-fired boilers, waste burning, metal training and chemical industries. 5- P84 dust collector filter bags are used in corrosive gases dust removal, such as in industries of chemical engineering, metal workout, waste burning occupation, cement kiln and coal-fired boiler. 6- PTFE baghouse filter bags are used in dust collector and removal of high-corrosive gas and high temperature gas, such as chemical industry, coal-fired boiler, waste burning industry and nonferrous metals. 7- Fiberglass dust collector filter bags are widely used for the filtration of high temperature waste gas from various industrial furnaces, such as chemical industry, iron and steel, metallurgy, carbon black, power generation, cement, etc.